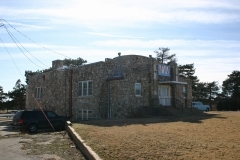 Constructed in 1939, the Earl H. Ellis VFW Post #1362 is an Art Deco one-and-one-half story native stone structure built primarily by its members and H.V. 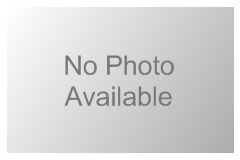 Crull, contractor. The building's historic significance is in its important civic and social role of reflecting the community's dedication to its veterans. 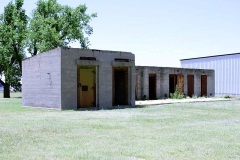 Although not constructed through the Work Projects Administration itself, the VFW building has architectural characteristics of WPA structures of this era. Built in 1930, Hotel Roberts is the largest and most highly styled historic hotel in Pratt. Construction of the hotel was initiated by the Pratt Chamber of Commerce, which formed a committee in the late 1920s specifically to facilitate the construction of a large new hotel. 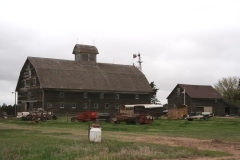 Seen as a potentially valuable asset for the community, the hotel was financed in part through a public subscription campaign, and constructed on land provided by the Chamber. The Pratt Hotel Company owned and operated the hotel and hired Wichita architect Samuel S. Voigt and Kansas City contractor Webster L. Elson to design and build the building. Elson not only supervised the rapid construction of the "fire-proof" building, he was a founding member of the Pratt Hotel Company, and he retained an ownership interest in the property for many years. The community hospital was established on the eighth floor of the building in 1932, complete with an operating room and an x-ray machine. 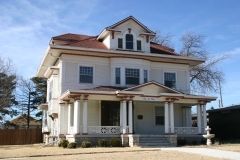 Architecturally, the building is significant as an early and sophisticated example of the Art Deco style in central Kansas. 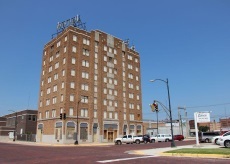 The hotel opened as the Hotel Roberts in 1930, and continued under that name until 1959, when it was purchased by Monte Parrish and renamed the Hotel Parrish. It is nominated for its local significance in the areas of architecture and community planning and development. The Parachute Building at Pratt Army Air Field, built in 1942-1943, is typical of mid-20th century military construction. 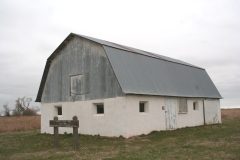 Although simple in design with little architectural ornamentation, its form and appearance reflect its intended use as a facility for inspecting, packing, and repairing parachutes during World War II. There are two sections - a 40-foot tall parachute loft and a short, gabled, one-story parachute packing area. 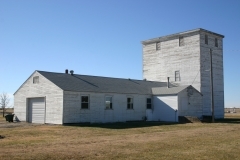 The building is part of the Pratt Army Air Field (PAAF), which was created in 1942 at the direction of the War Department for training bombardment wings and B-29 groups. Only a few of the base's World War II-era resources are extant, and the Parachute Building is the most intact. A recent survey of World War II-era air bases in Kansas noted only one other extant parachute building located at Coffeyville. The Pratt Parachute Building was nominated for its association with mid-20th century military practices and for its architectural significance as an example of World War II-era military construction.